Teamwork was the focus of my weekend recently. 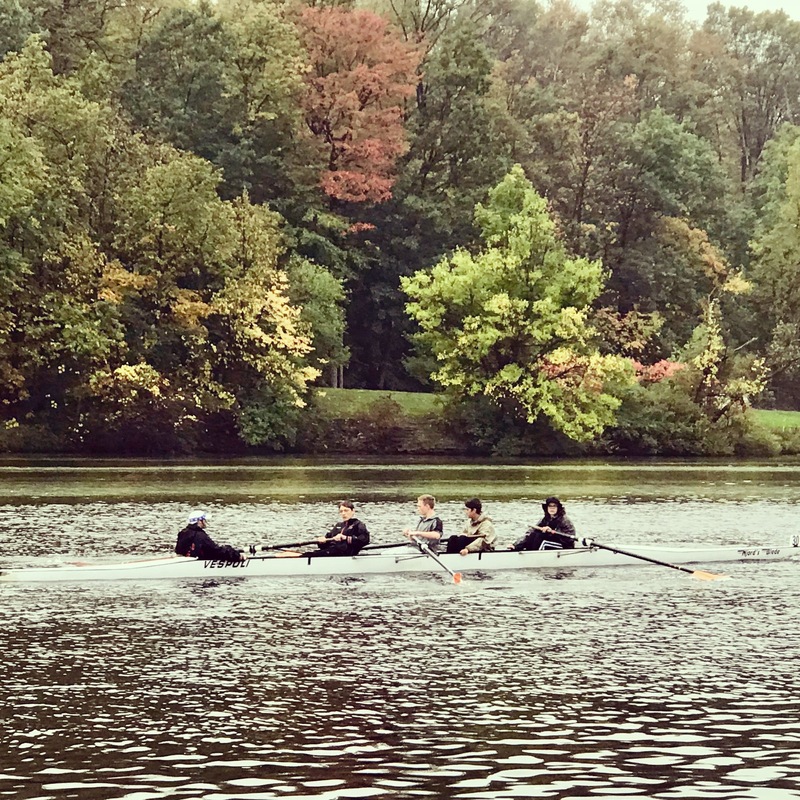 Two of my kids just finished their last crew regatta of the fall season. We were up in the Leelanau Peninsula in Michigan and the scenery couldn’t have been better. We caught the last part of the colors and the temperatures were crisp and best of all… NO RAIN. But, the reason I bring up the regatta is how essential teamwork is in the sport of crew. I know, I know, teamwork is in all team sports. But, I have found that in football, soccer, basketball, lacrosse, volleyball, etc there always seems to be one or two players that really stand out. Some players are known as “ball hogs.” There are also many opportunities for some players to receive all of the glory while the rest of their teammates, simply by lack of mention, seem to be almost insignificant or regarded as less important. Often, some players never even get the ball during a play or even entire quarter or half of a game. Not in crew. In crew, everyone rows… all the time. There are no timeouts, no water breaks, rotations, etc. Everyone in that boat has a role to play for the duration of the race. The coxswain guides the rowers in their pace and direction and the rowers follow that lead. Each rower has a role and purpose, regardless of their position in the boat. If one rower loses their focus for just a second, the entire boat feels it. Worse yet, if one rower “catches a crab,” it’s a public embarrassment for that rower and the entire boat suffers. And… the crew team is responsible for loading and unloading the boats from the trailer, rigging up the arms, attaching their oars, carrying the boats down to the water, taking them out of the water, and carrying the oars for the boat next scheduled to race. A successful race comes together when all members of the boat are in such sync that they hardly even notice the effort their bodies are expending. While their bodies are screaming with the pain of lactic acid in their muscles, their shoulders and legs throbbing, and their hands literally blistered… the observer only sees a boat cruising through the water with powerful grace. My point is this… business is very much the same as a crew boat. There are owners and CEOs, middle management and front line staff. There are so many different ways that each of these positions work into the overall Customer Experience. When all of these positions are in sync, communicate, know their roles and how they impact the roles of others, and all understand and work toward the same common goal… the experience for the customer is the same as the observer of the crew regatta… powerful grace in motion. They don’t know everything that goes on behind the scenes to “make the magic happen,” only that they enjoy working with you because you make it seem effortless and natural. So, consider how well your teams, silos, and departments work together. Keep in mind that the customer never experiences your company silo by silo, but across silos. How well the team functions together across the customers journey is notice by the customer. Make the time and effort to build teamwork in your company. Have functions, speakers, workshops, etc to keep your teams in sync with the overall goal of creating experiences your customers want again and again… with you.